If you've ever been stung by a jellyfish, like I have, then you know the excruciating pain that seems like the hottest fire on your skin, that nothing will relieve. It's a really scary feeling. Most jellyfish stings are treatable and the pain, however horrible, is over in a few minutes. However, some jellyfish are more "toxic" than others. 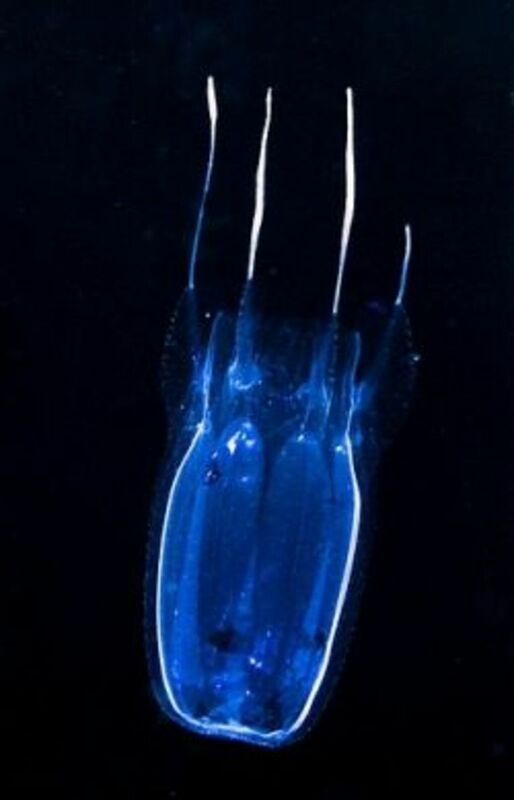 The absolute worst is the Box Jellyfish. While they are very small, the toxins they inject into the skin are the absolute deadliest. The Box Jellyfish is a fascinating creature. They have no brain, yet seem to have the ability to hunt and navigate delicate tangled sea plants while trailing long and sticky tentacles to find their prey. They are ancient, prehistoric creatures, and were one of the original occupants of the ancient seas. They have lived in the deep for billions of years. 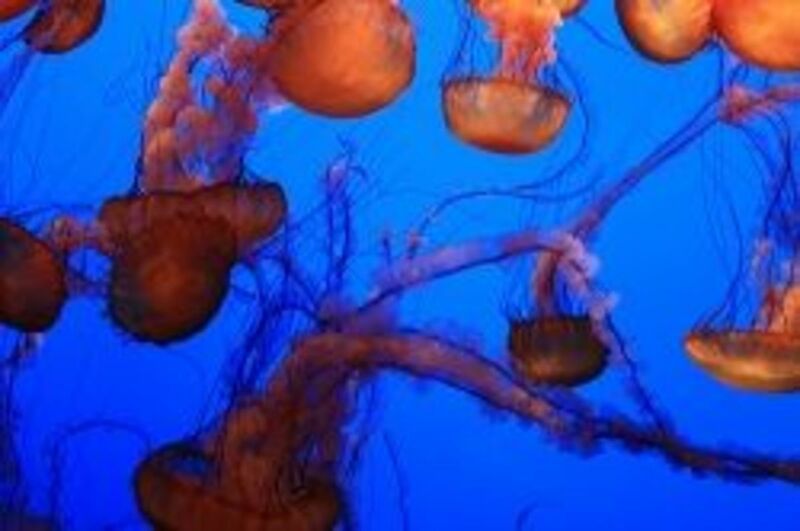 In recent years, they and other jellyfish species have come out of their ancient deep water habitat, and are increasing in numbers exponentially every year. 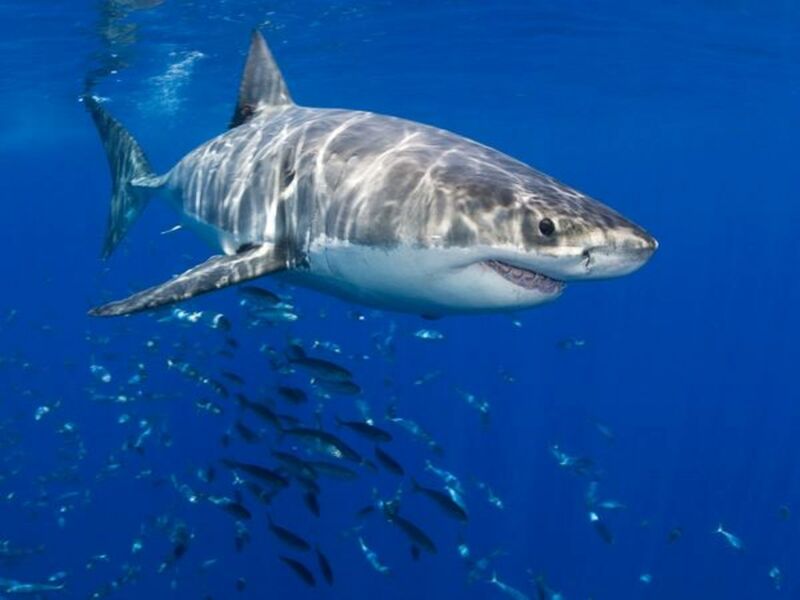 They now pose a threat to our oceans, not only to humans but to the ecosystem as well. 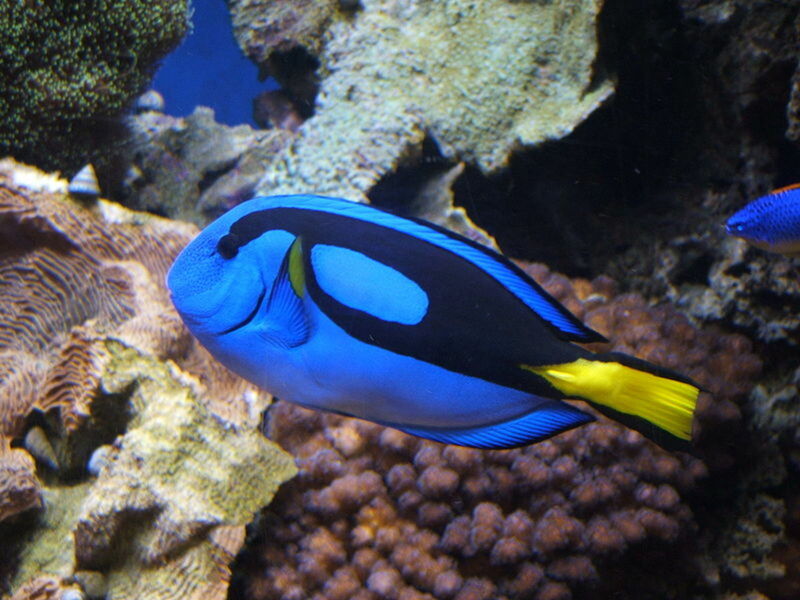 They are not limiting themselves to one area of the ocean. They are cropping up everywhere. Strange to think that such a primitive looking and really quite beautiful creature can pose such a serious threat. Let's take a look at recent discoveries about these strange creatures, and talk about some of the safety concerns when in close proximity of a box jelly. 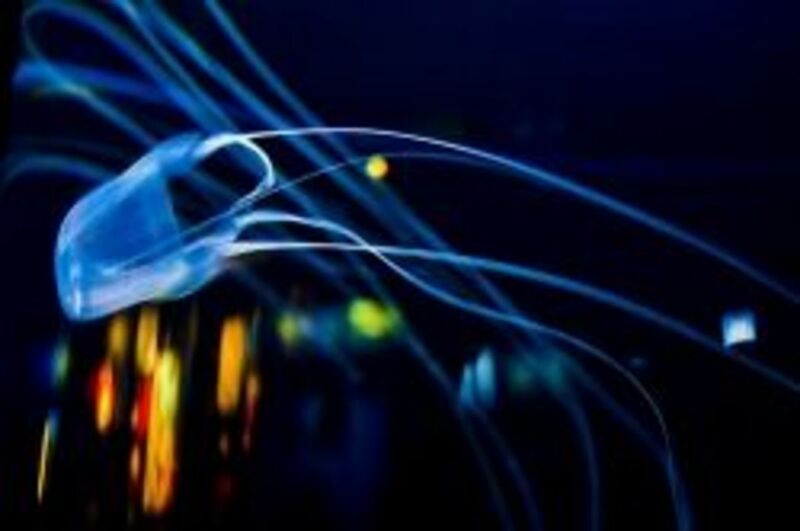 Box Jellyfish is not a single type of jellyfish, but a term for a group of similar jellyfish species. Some bloom in phases of the full moon. Others can lie dormant as tiny pods at the bottom of the ocean for half a century. They reproduce asexually, cloning themselves by the millions. They do not sting humans on purpose. The sting happens from a brush against a tentacle, which sets off millions of bursts of their poisonous venom into the skin. 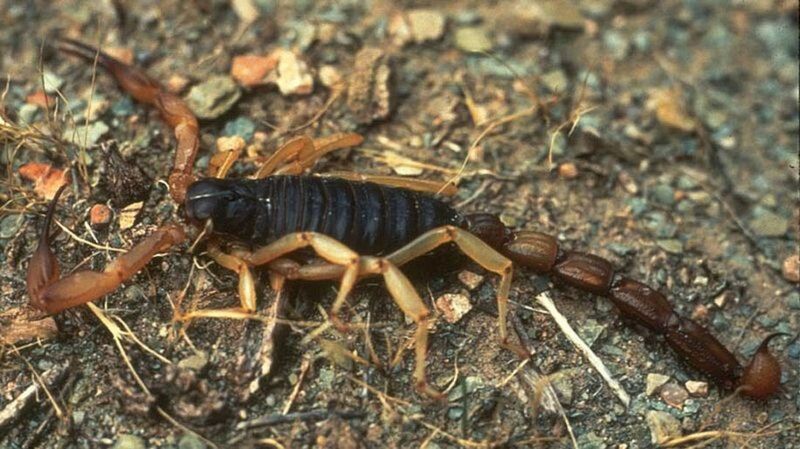 The venom destroys red blood cells, blisters the skin, and targets nerve receptacles which create long lasting and excruciating pain, and can trigger cardiac arrest. In Australia alone, there are more than 50 incidents of Irukandji Syndrome every year, and it is getting worse. New Box Jelly Species Named! - Beautiful, and still.... deadly! Why are Jellyfish Populations Exploding so Quickly? The answers are shocking. We are stressing them out. The jellies reproduce when they experience a change in their environment. Large population explosions seem to coincide with highly populated areas on nearby land. The toxic waste from humans which is being dumped into the ocean is effectively shocking jellyfish into releasing their eggs. The Jellyfish will do this in any kind of stress. The presence of toxic chemicals will trigger their release of eggs, but it is not the only thing. Changing temperature in the water and turbulent waters will trigger it also. This means that climate change is another cause of their rapid reproduction. Since Jellies can survive anywhere in the ocean, including the hot heat vents of the extreme deep as well as the freezing waters of the arctic, and because they have survived for billions of years, this is a fight they very well may win. It is up to us to change our behavior and create a calmer environment for which to coexist with the jellies. They are not out to kill us. They simply want to survive. 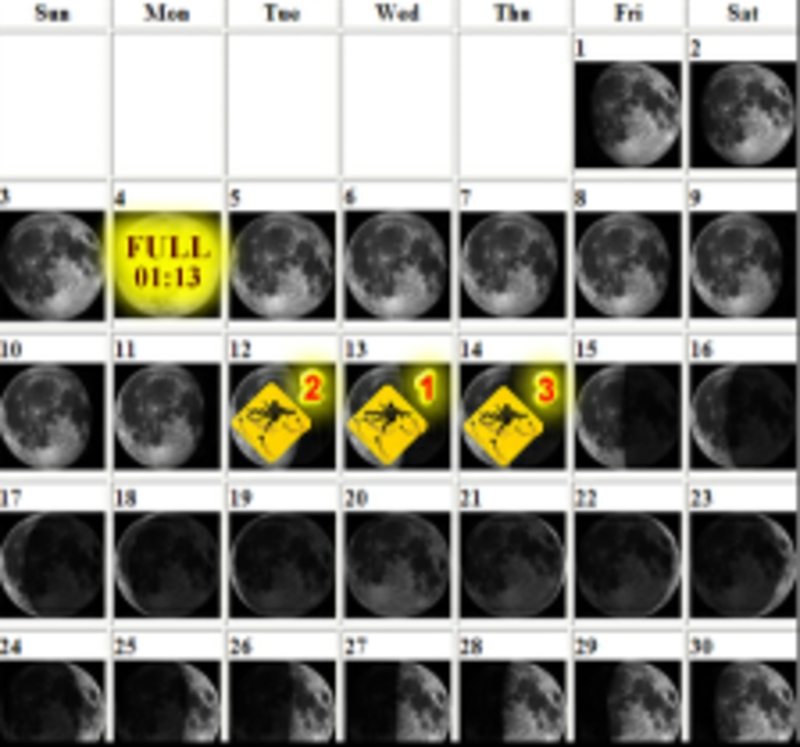 This calendar (above) can be referenced at 808jellyfish.com and gives a good idea of the current threat of jellies in Hawaii based on the current phase of the moon. Hawaii sees both Box Jellyfish and Man-O-War threats. The treatment for the two stings is not the same, however. While vinegar works on box jelly stings, it is not recommended for Man-o-war stings. If you're not sure which has stung you, do not use vinegar, just in case it's a man-o-war sting. Vinegar on man-o-war stings may make it worse. The graphic below is a good way to explain the difference. The biochemist Angel Yanagihara was nearly killed by a box jellyfish. Then she became an expert on their venom. What? 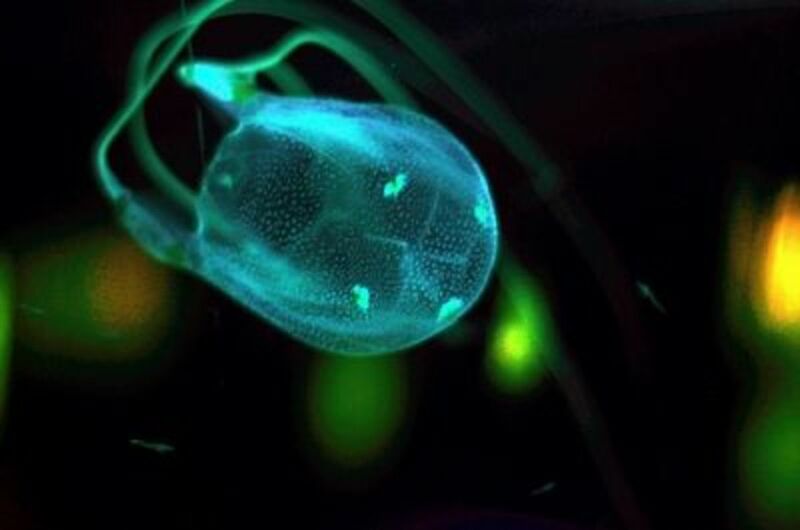 Jellyfish can reverse their own aging process? .... there is a species of jellyfish that can age both forwards and backwards, making them theoretically immortal. faster than any animal on the planet. 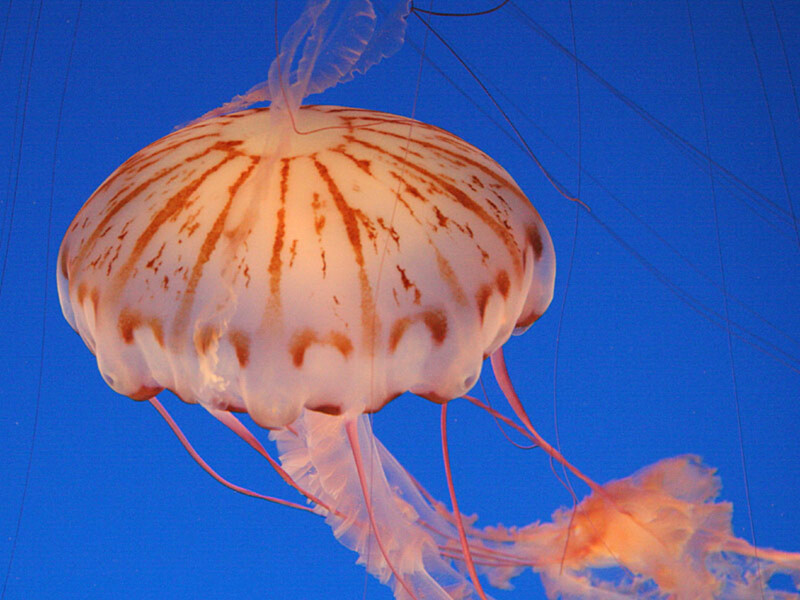 All types of jellyfish will sting you, but not all jellyfish venom is harmful to humans. Only 70 of the 2,000 known jellyfish species can seriously harm people. Some species can kill you though, so it is important to know how to avoid them and what to do if you are stung. 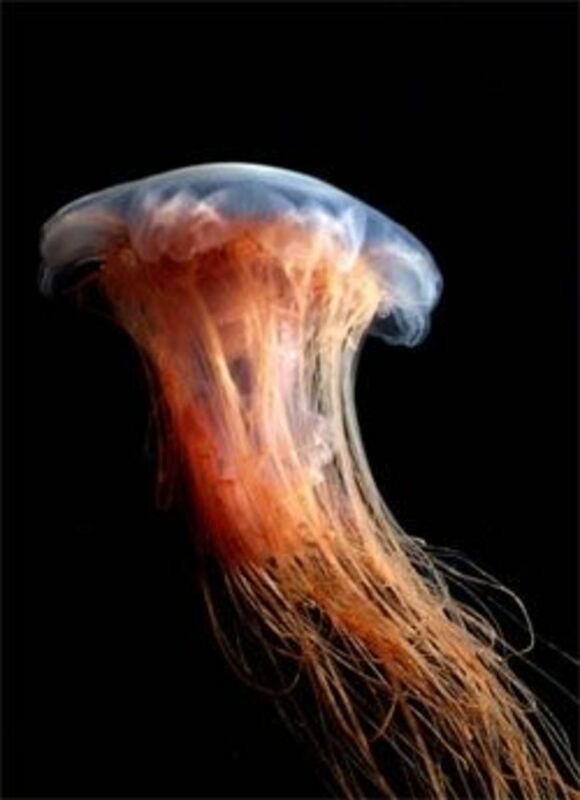 The tentacles which hang from the jellyfish are the part which sting. 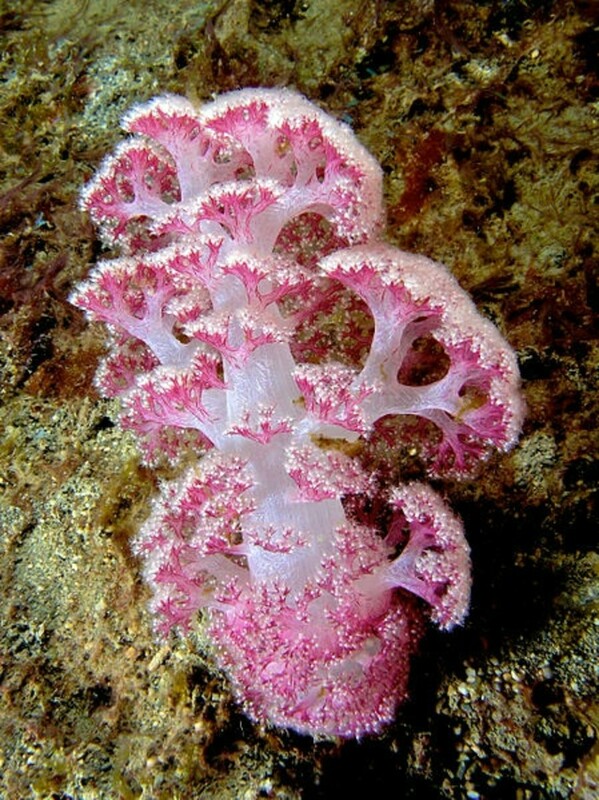 They use these tentacles to capture and kill their food. The high Jellyfish season is October to May. If you swim during these months wear protective gear, such as a stinger suit. Watch out for jellyfish on the beach. If they have washed up on shore, they can still sting you. Be careful not to step on them and do not touch them or try to pick them up. Even a tentacle detached from the jellyfish can sting. Public beaches monitor the water for jellyfish and will post warnings when they are present. Be sure to look for such warnings, and avoid going into the water if the warnings are posted. 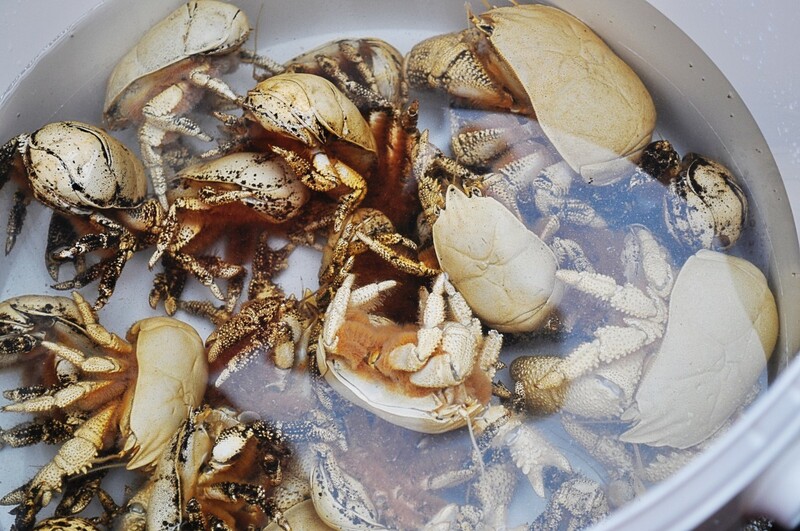 If the tentacles are still attached to the skin, pour vinegar over them and detach with a stick or other object. Do not touch with your hands. Quickly wrap a light bandage above and below the sting. I have seen some suggest urinating on the sting, but many advise against this: however, scientist Angel Yanagihara has developed a treatment which contains urea, which is found in mammal urine. Use Caution Before rinsing with water! Rinsing with water can release more poison. Many treatment suggestions involve rinsing the sting, but be sure to remove any visible tentacles and stingers first. Be sure not to touch stingers with your hands. Use a stick or disposable object to protect your hands. I've seen suggestions to use warm water (sea or fresh), and soaking in warm sea water after rinsing. Some also suggest a topical lidocaine ointment or rinse to diminish the pain, but be careful with these, as they are meant for use on healthy skin, not on abrasions. See a lifeguard if one is in the area for first aid. They will have the best knowledge about treatment for stings in that area. New scientific evidence suggests immersion in HOT water A study by the University of Sydney now suggests immersing the sting in hot water is 50% more effective than ice packs, and when comparing hot water treatment to vinegar or Adolph's meat tenderizer, the redness appeared much worse with the latter. Have you ever been stung by a jellyfish? - Have you seen a Box Jelly? No, I haven't seen a jellyfish yet!